.. unfortunately I feel deceived that the description was made to feel very uplifting, religion neutral and open beliefs.... it's not!!!! This book was amazing. I found myself laughing and in tears within the first few chapters. There were moments that literally stopped me in my tracks. This book is a wonderful compilation of real and compassionate. A beautiful breathe of fresh air for THIS mama who needed to know she wasn’t alone. 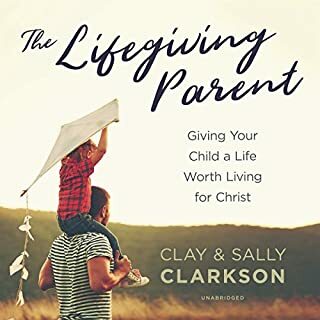 I would recommend this book to every mama who has their faith in Jesus and even to those whose hearts have been searching for answers they need found. This will definitely be a reread for me! 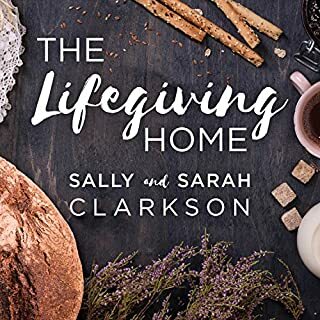 This book helps us each see that we are not lone rangers, we all have issues and through time, God's help and each other, we can make it through. Sally and Sarah explain the ways to have success through the busy years of parenting. What about Nan Gurley and Chelsea Thayer ’s performance did you like? It was hard knowing Sally's voice in real life and hearing the reader speak for her but the reader did a good job. I found myself listening to this book whenever I had a break from my 3 children under 5. Sally and Sarah are truly inspiring and uplifting. They reminded me to give myself grace as well as my children and husband. I love the Biblical references throughout each book. This truly helped me through rough days of homeschooling. Thank you for your continuous encouragement as a mama. 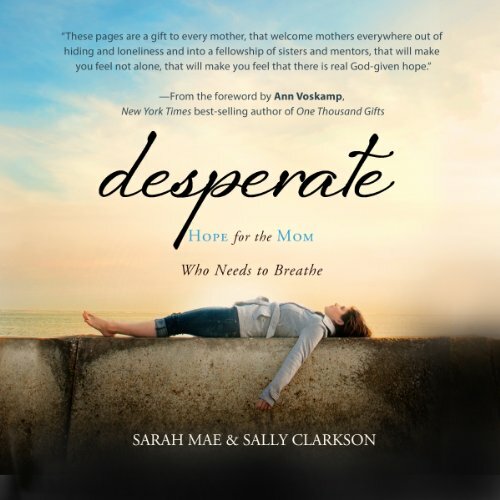 What did you love best about Desperate? 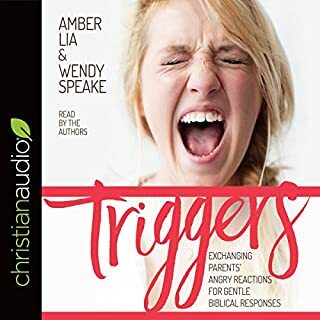 This book really helped me as a Mom, Wife, Woman and a Christian. Thank you, I feel relieved and hopeful. The format of this book was a bit difficult to follow in the beginning. But I was determined to stick with it because I needed the encouragement and Saramae seemed to be saying all the things I'd been afraid to say. Things I'd felt guilty for thinking. 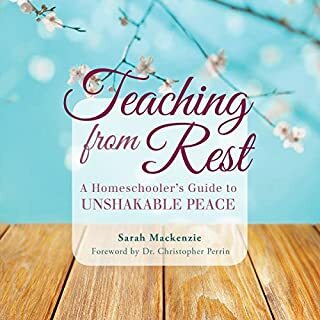 As I stuck with it, I saw that the book offered lots of encouragement and good tips for keeping your sanity as a mom of young children. I am so glad that I stuck with it. 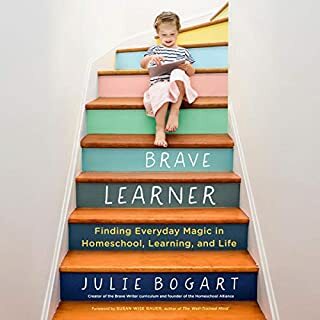 I love the style of this book, very easy read (listen) and so many awesome tips on parenting! I really enjoyed the ongoing conversation to my heart throughout this book. Worth the listen and uplifting in time of need. I will recommend this book to any mom with questions during the child rearing years. It has been so encouraging to my heart & soul as I journey through our days with five littles & homeschooling. Breaking free from the family traditions of harsh words & bitterness is not easy, but finding a mentor here has given me hope. I love to listen to the voices of these woman & be spurred on to a better way- Christ glorified in our home! I found so much hope and encouragement in this book. Sara Mae is transparent and authentic and her she put into words so many things I have been feeling but couldn't verbalize. If you're praying to find mentors but they haven't come yet, this book is a great place to start. This is such an honest and well rounded approach to helping moms who struggle. I'm so glad it was recommended to me. It made me realize I'm not alone and gave practical advice seasoned with truth that inspired me to relax and love being a mom again. So good! It took my a year to listen to this and I started over at least 3 times as I struggled to find time for it. but it was soo very worth it. Sarah asks the questions I wish I had someone to ask and Sally answers with exactly what I needed to hear. If you're struggling as a mum then let these women tell you that you are not alone, that you can change and that things will get better.